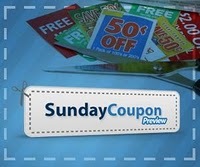 We will see two coupon inserts this Sunday. Double check your newspaper to make sure your inserts are there. I’ve heard a lot of the inserts have been missing from the papers.